Olde New England Yuletide Punch Needle Stocking. Designed by: Vermont Harvest Folk Art (Doreen Frost). 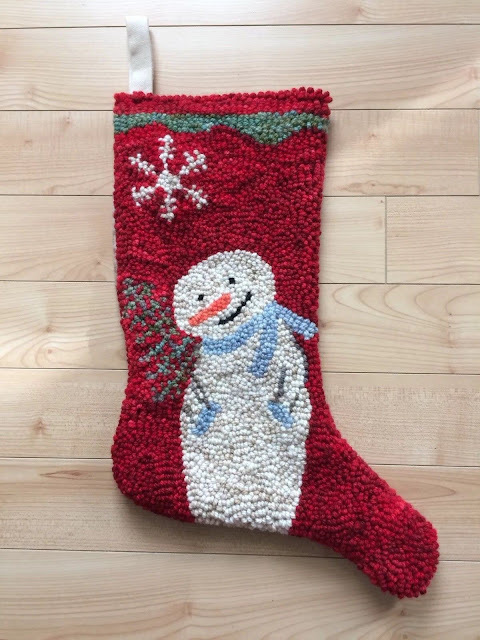 I needle punched this stocking with 100% wool yarn. What a fun project!